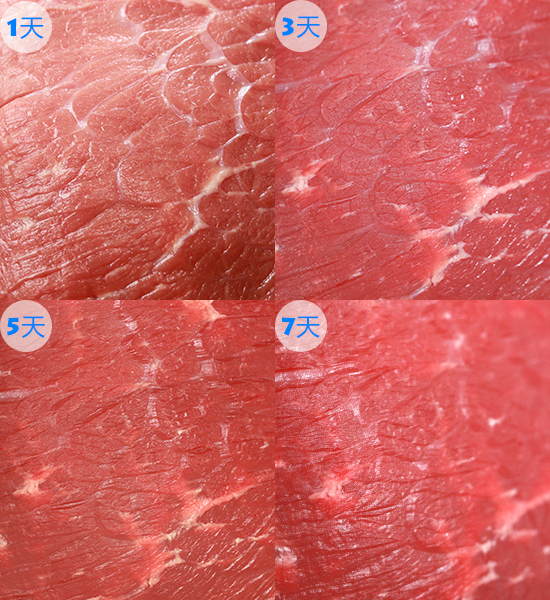 Is there no way to keep fresh, can it solve the problem of summer meat meat nutrition and preservation? 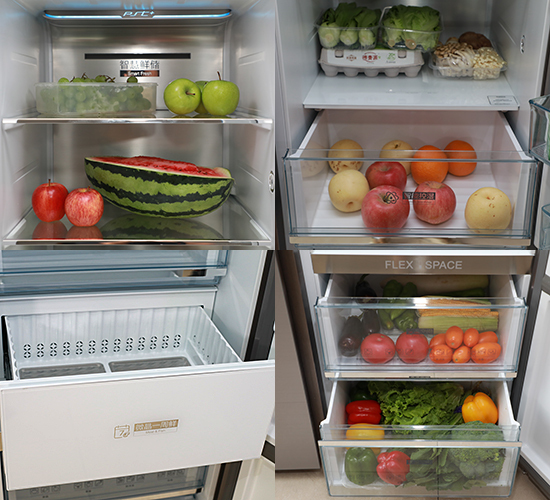 Of course not, we are going to test this beautiful smart fresh-keeping refrigerator micro-crystal series BCD-630WKGPZV. hand' ! The beautiful micro-crystal refrigerator BCD-630WKGPZV original 'micro-crystal fresh' technology can maintain the freezing point low temperature state in the fresh-keeping compartment, and does not trigger the 'maximum ice crystal formation zone' of about -5 °C, avoiding the formation of puncture cell membrane The ice crystals, while keeping the softness of the ingredients, whether it is nutritional preservation or secondary cutting, are the perfect choice, so that the ingredients are fresh as usual. 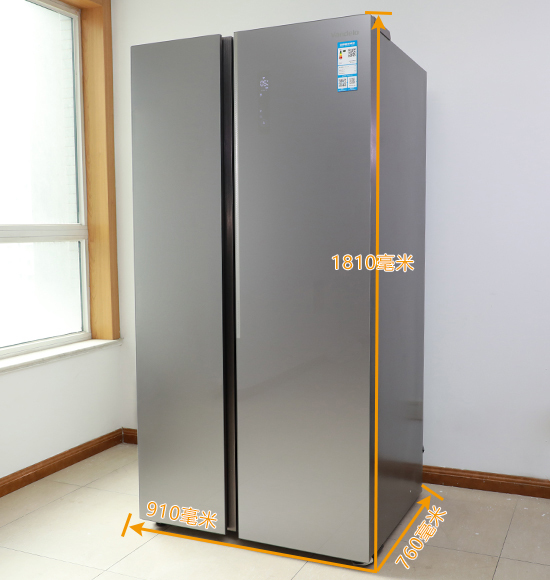 So the beautiful 'micro-crystal fresh' technology has been said so well, China National Grid will carry out a 7-day fresh-keeping test on this beautiful fresh-keeping refrigerator BCD-630WKGPZV, using data to speak. 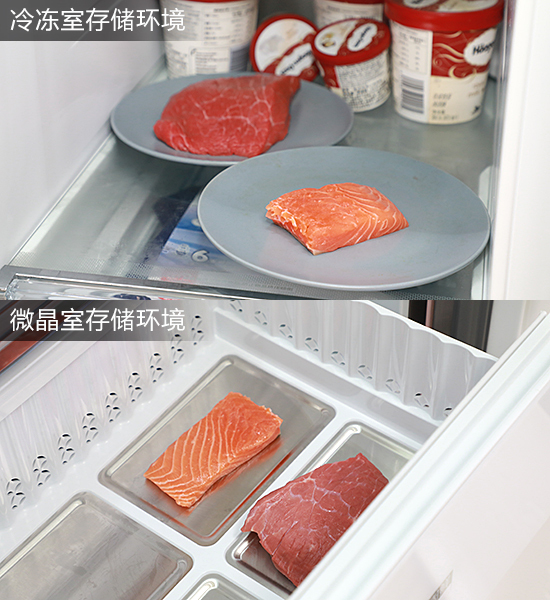 In order to verify the practical effect of the beautiful micro-crystal refrigerator BCD-630WKGPZV 'micro-crystal fresh' technology, we chose chilled beef and salmon, which were placed in the ordinary freezer and micro-crystal fresh-keeping cabin to compare the preservation effect. The micro-crystal fresh-keeping room of the machine is located in the middle of the refrigerating room. The sealing strip is thick and tight, and there are four metal plates at the bottom. 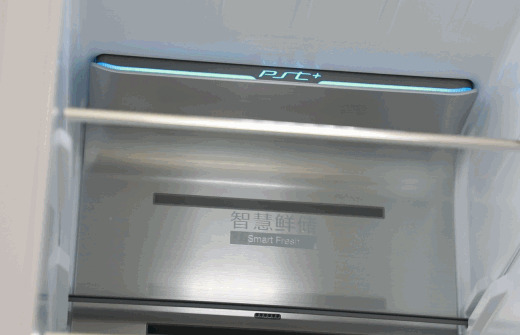 The cooling capacity is more uniform than the plastic material, and the meat is not sticky. 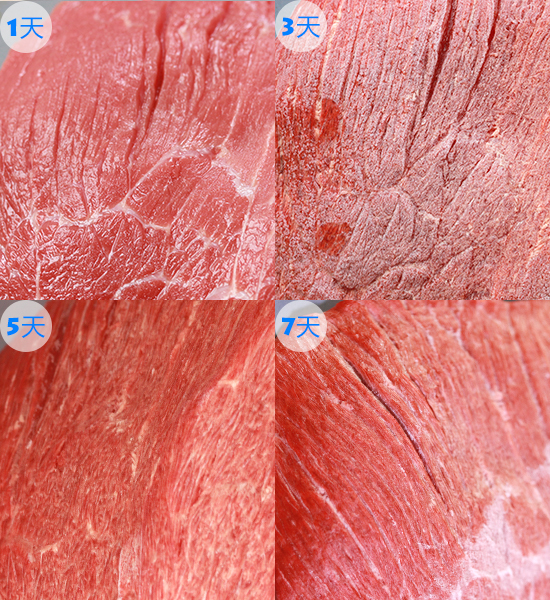 It can be seen from the comparison of the appearance that the frozen and preserved meat has been completely dehydrated and the surface is covered with ice crystals. 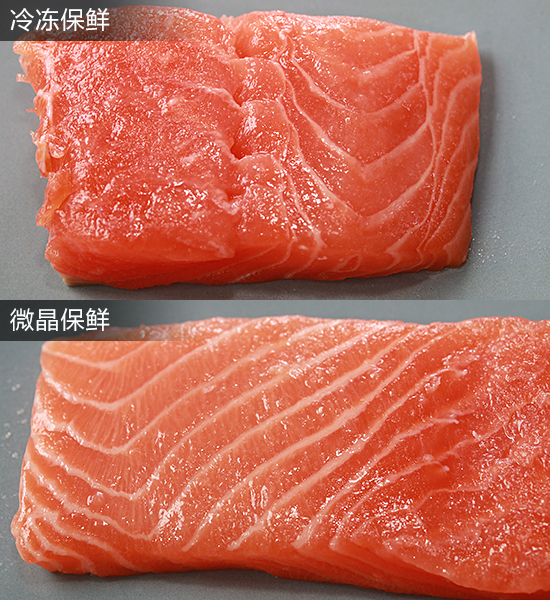 The taste of the meat after freezing is conceivable; while the microcrystalline fresh meat and salmon, the overall change is not very large, and the salmon is obviously relatively watery. Run. 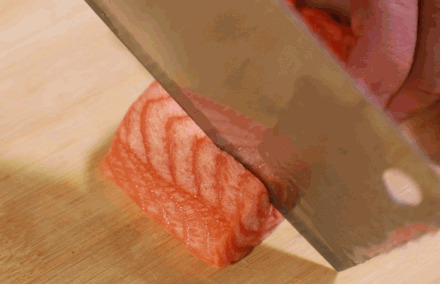 Of course, after 7 days of fresh storage of salmon, it is recommended to cook and eat. In addition to excellent preservation, the 'micro-crystal fresh' technology has a special feature, which is to keep the softness of the ingredients and avoid the formation of ice crystals that pierce the cell membrane; we have also tested this. The effect of the cutting experiment is clear at a glance. Microcrystalline preservation can really keep the softness of the ingredients, making it easier and more easy to cut, and also feel the best. It avoids the step of freezing and re-freezing which seriously affects the taste of the food. So can microcrystalline preservation avoid the formation of ice crystals that pierce the cell membrane? 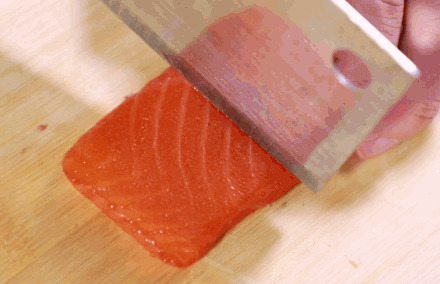 The salmon is very delicious and rich in water. 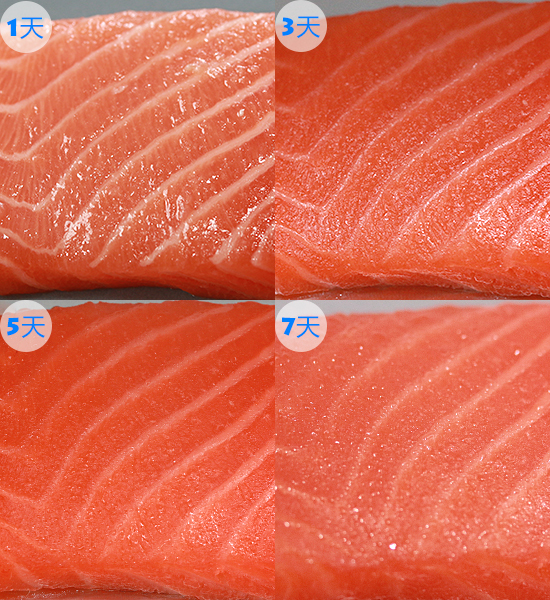 We cut the frozen and microcrystalline fish separately. 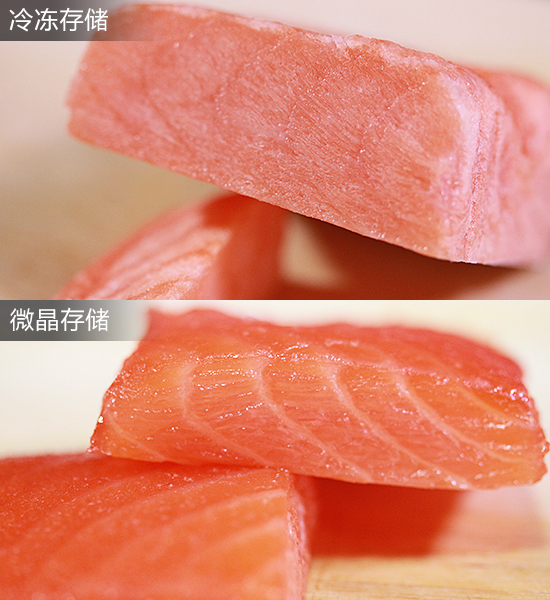 It can be seen that the frozen fish contains a lot of ice crystals, while the microcrystalline fish has no ice crystals, which keeps the cells intact and still moist. 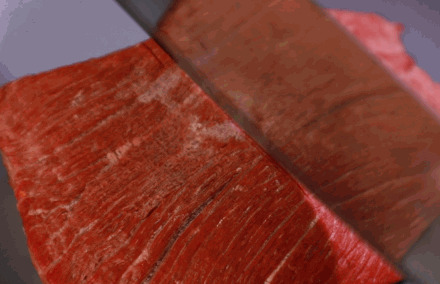 Through the seven-day microcrystalline fresh-keeping storage of chilled beef and salmon, we can be responsible for the fact that the beautiful 'micro-crystal fresh' technology is indeed a perfect companion for summer meat ingredients preservation, and is a good technology for nutrition preservation. 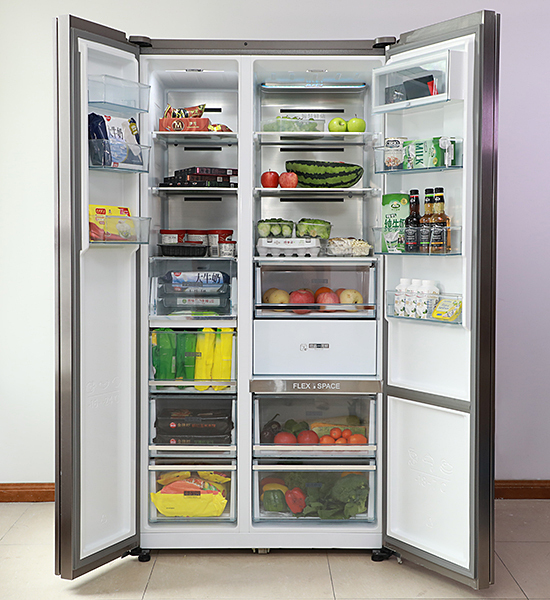 A good refrigerator needs to face all the tasks of keeping fresh food for the family. 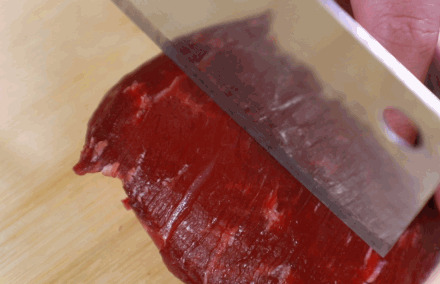 It is not only fresh-keeping meat, but also the preservation of fruits and vegetables. The beauty of the micro-crystal refrigerator BCD-630WKGPZV can 'win' the challenge of keeping fruits and vegetables fresh, Let's try it below. 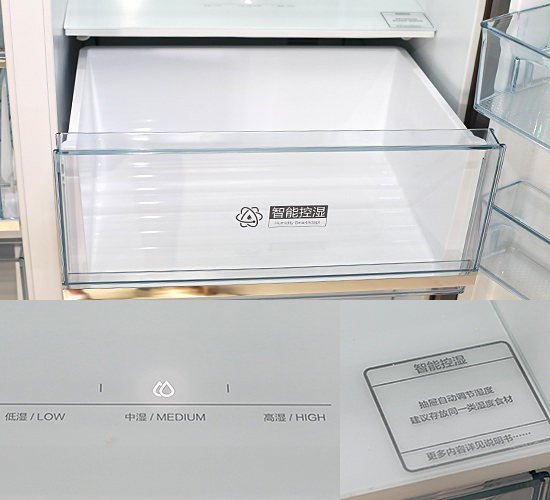 In addition to the conventional refrigerated space, the machine has a self-contained 'AI intelligent humidity control room', which can automatically adjust the space humidity according to the stored ingredients. It is very smart and easy to save. In order to verify the effect of the room control, we will cut it. 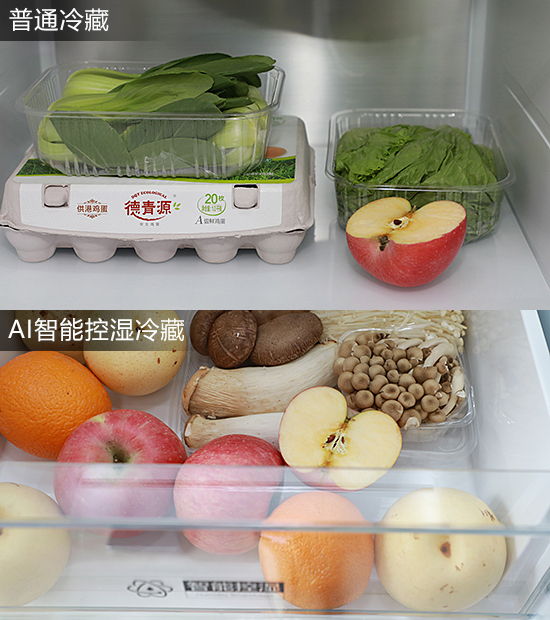 Apples are stored in the ordinary refrigerated and AI intelligent humidity control room, compare to see its moisturizing effect. After 48 hours of cold storage, we took out the apple, weighed it again, and calculated the water loss rate. The effect of moisturizing and fresh-keeping has been verified. 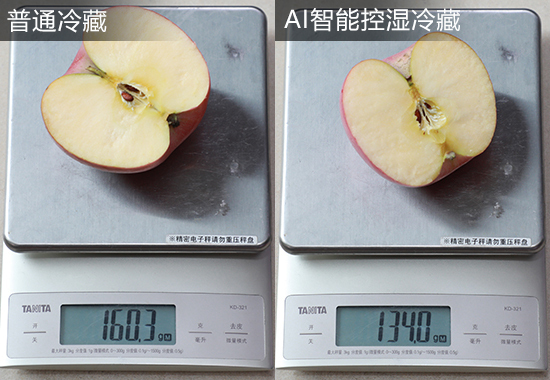 Ordinary refrigerated apples weighed 160.3 grams before testing, and after 24 hours of refrigeration, the weight dropped to 150.9 grams, and the calculated water loss rate was about 5.86%. 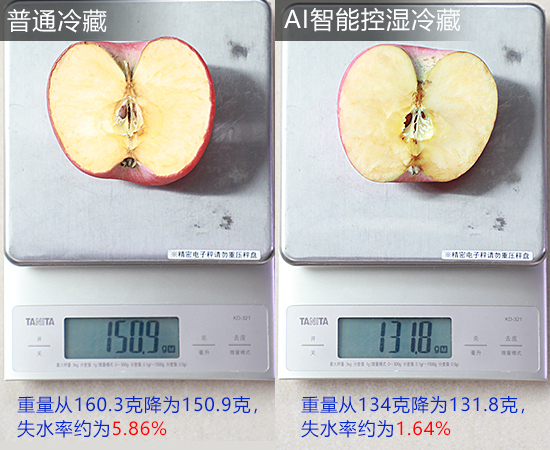 The weight of apples controlled by humidity was 134 grams before testing, and the weight dropped to 131.8 grams after 48 hours of refrigeration. The calculated water loss rate is about 1.64%. If the water loss rate is an abstract concept, then the comparison chart above can better reflect the effect of apple water loss. 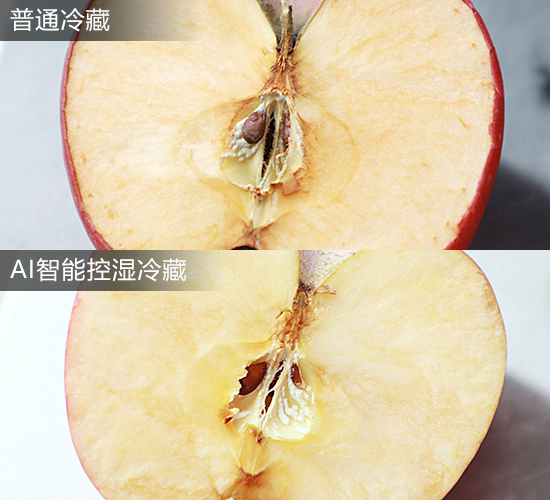 After the 'AI intelligent humidity control cold' apple peel has no dry shrinkage phenomenon, the pulp is also slightly oxidized, and the preservation effect is fresh. A lot better than ordinary refrigeration. In addition to the fruit, we also carried out the vegetable water loss test on the machine, simulating the most common preservation method in the family, tearing the green leafy vegetables off the plastic wrap, and placing them in the refrigerator (non-AI intelligent humidity control room), and watching the 48-hour refrigerated Effect. 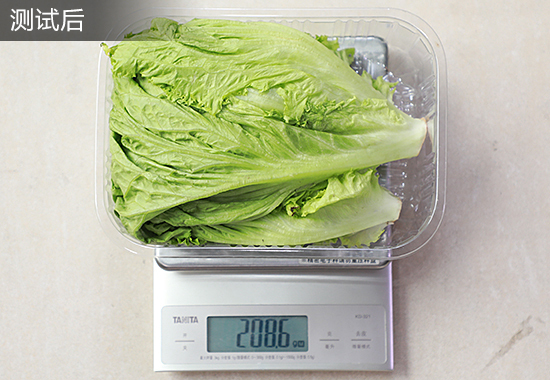 After 48 hours of refrigerated storage, the vegetable weight decreased from 217.9 grams before testing to 208.6 grams, and the calculated water loss rate was about 4.27%. 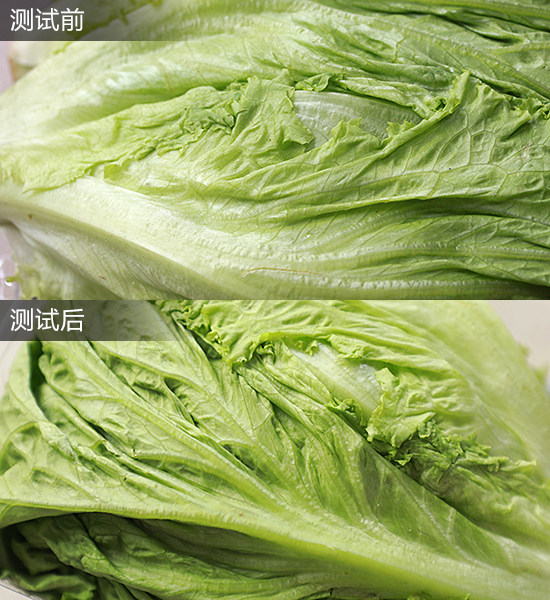 Regardless of the appearance or the water loss rate, the effect of vegetable preservation is good. 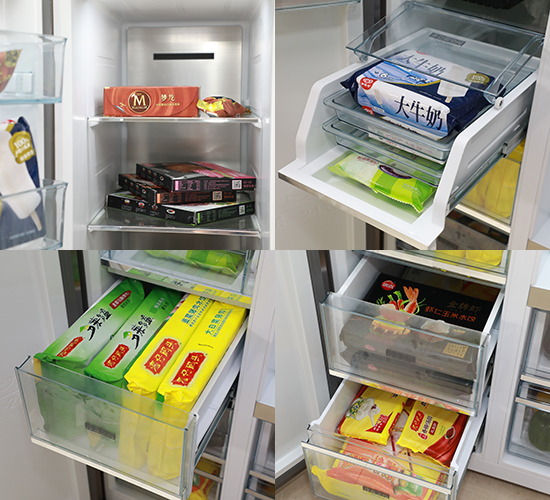 Considering that this is the removal of the plastic wrap and the bare refrigerated storage, it is a very good preservation effect. Combining the previous meat microcrystal preservation and apple moisturizing preservation test, it can be said that the beauty of the microcrystalline refrigerator BCD-630WKGPZV overall refrigeration capacity is still very good, providing a variety of preservation environment for different ingredients, whether it is fruit and vegetable or meat Class, can get excellent preservation storage environment. It is not enough to have excellent fresh-keeping ability. 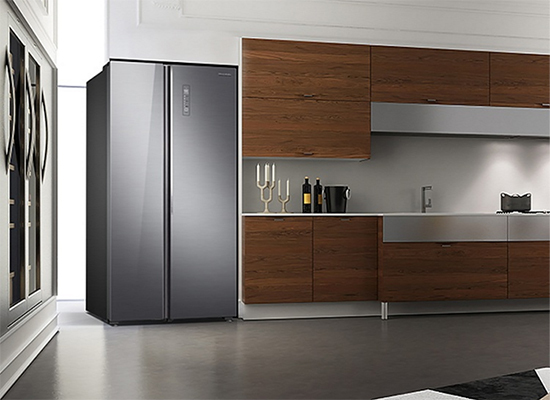 The appearance and details of the product are often the key factors for consumers to purchase the refrigerator. After all, such a big thing is at home, and it is very important to match the home environment. The beautiful micro-crystal refrigerator BCD-630WKGPZV adopts glacier silver color matching, KMI texture carved glass panel, and basically all kinds of home style. Its length, width and height are 910mm, 760mm and 1810mm, respectively. 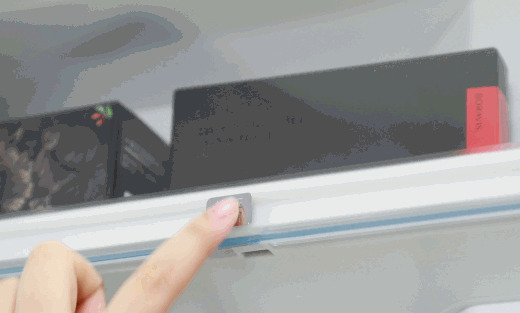 At the front of the fuselage, there is also the i-Wake smart soft light wake-up light, which automatically lights up when the user approaches or controls the refrigerator. It is like a diamond on the metal texture glass, very beautiful. On the side of the handle and the door, the machine adopts a nano-drawing process, which is exquisite and shiny, and feels great when touched. It is not easy to contaminate fingerprints. There is also an intelligent control function, which can be remotely controlled on the mobile phone. 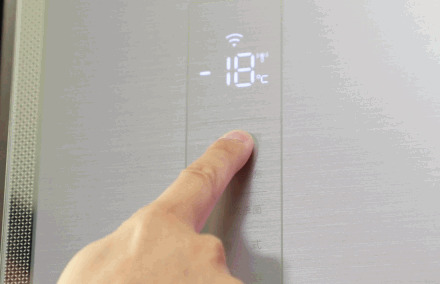 The temperature and function of the refrigerator can be adjusted, which is in line with the development direction of the next home appliance in the modern smart home environment. 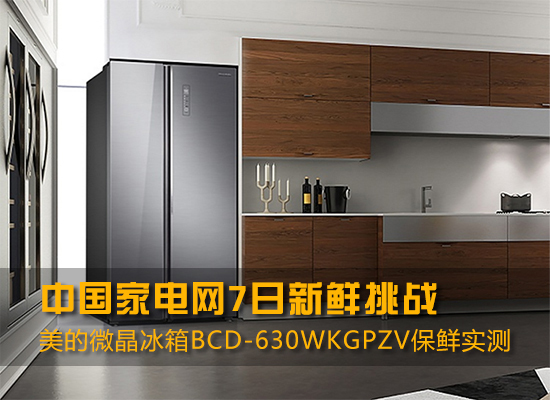 The beautiful microcrystalline refrigerator BCD-630WKGPZV is not only exquisite in appearance, but also very elegant inside. At the bottom of the cold storage room, there is also a magic variable temperature zone with a volume of 97 liters, divided into two drawers; the area has 'fruit and vegetable, zero degree, soft frozen, frozen' four-speed, one-touch adjustment, not only very convenient, When the freezing space is insufficient, it can also form an 'L' shaped large freezing space, which is especially suitable for Chinese families who love frozen ingredients. In order to better cope with the infestation of bacteria, the machine is built in the PST intelligent sterilization system. 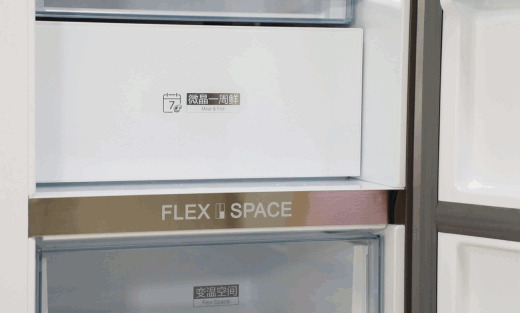 The plasma generator is built in the air outlet of the refrigerator. 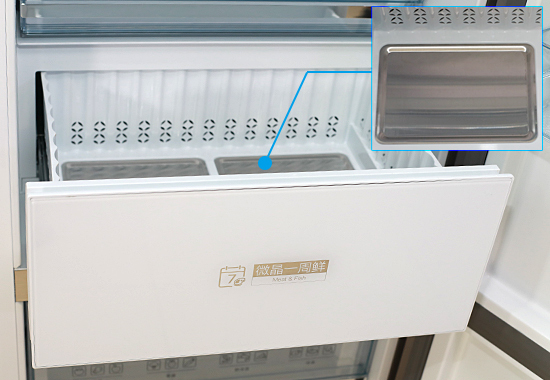 The negative ions are generated by high-pressure electrolysis, and the air is circulated in the refrigerator with the cold air of the air duct. The design of the lighting in the refrigerator is also very particular. The tilting light is tilted 15° inward, which makes the space more scientific and not dazzling. 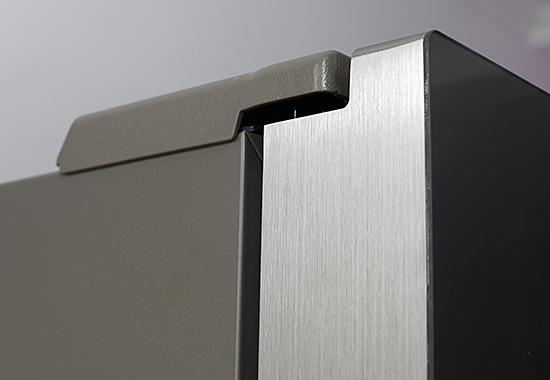 In addition, there is a 'cosmetic seal box' on the door of the machine, which is sealed independently to avoid contamination with the ingredients. 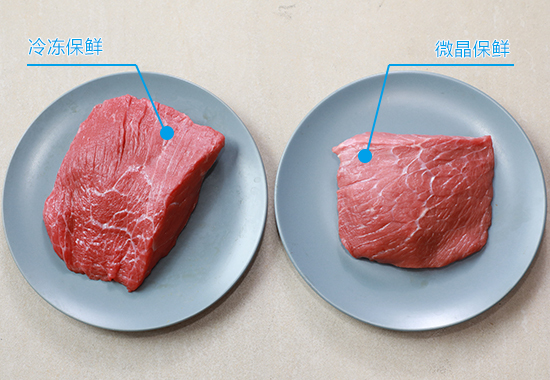 For meat ingredients, the machine 'micro-crystal fresh one' technology can fill the shortcomings of refrigerating, freezing and fresh-keeping, perfect for the fresh and soft meat of the meat, whether it is fresh or cut. For the preservation of fruits and vegetables, the machine has an independent 'AI intelligent humidity control' fresh-keeping room, which can automatically adjust the suitable temperature according to the stored fruits and vegetables, intelligent and convenient. 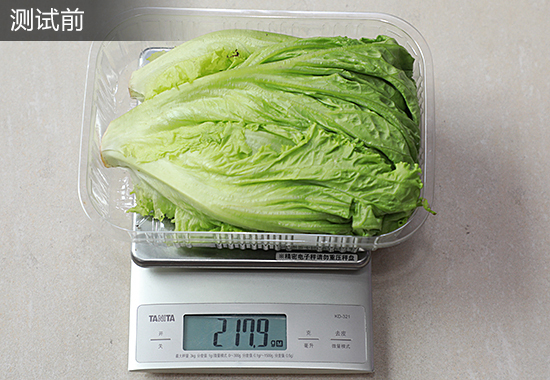 Its conventional refrigerated vegetables, under the influence of the PST intelligent sterilization system, Fresh and moisturizing effect is also very good, trustworthy. Its appearance is military-grade nano-brushed + polished glass panel, deep and delicate. 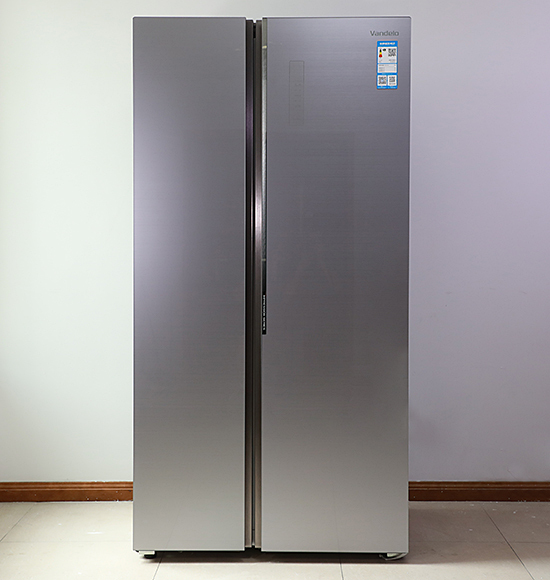 The color of elegant glacier silver can be said to be a variety of home environment; the addition of intelligent remote control system makes the machine more suitable for the needs of modern life. 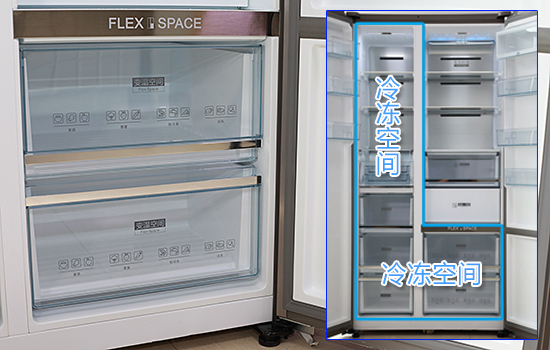 In general, the beautiful micro-crystal refrigerator BCD-630WKGPZV has strong and comprehensive preservation ability, reasonable space design, exquisite details and humanized design. 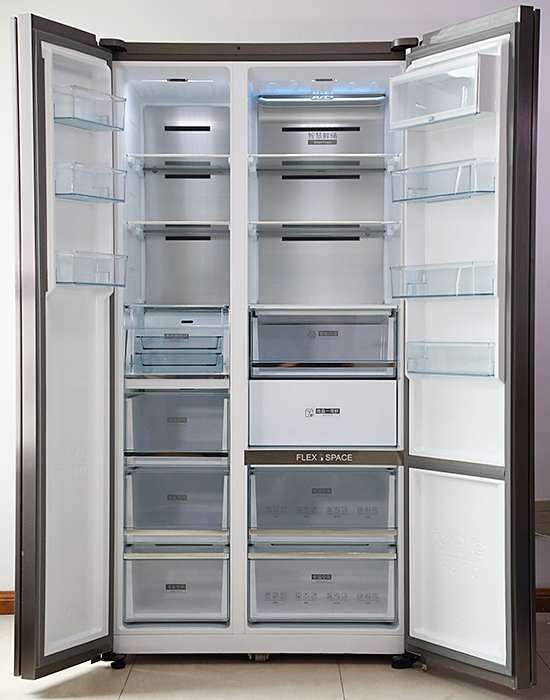 It is a new fresh-keeping refrigerator that meets the needs of modern family life.